for $279,000 with 3 bedrooms and 3 full baths, 1 half bath. This 2,865 square foot home was built in 1975 on a lot size of 1.59 Acre(s). 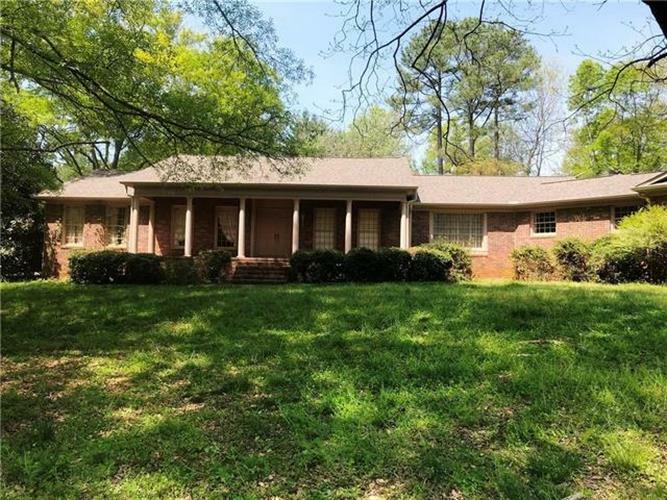 Rambling ranch in very popular Clarendon Subdivision! If you are looking for a one level home with large rooms and a "bonus room" on the main level, then look no more. This home just needs a little love to be absolutely amazing! Built ins, fully equipped kitchen with large laundry room, 2 closets plus a half bath.There is a breakfast room, formal dining room, office, large den plus a great room/playroom/man cave or bonus room. The master bedroom is oversized and has a full bathroom with a walk in shower as well as 2 closets. The hall bathroom is large with a separate potty room with a tub and shower combination.The lot is over 1.5 acres on a nice curve with a large front porch and 2 patios in the back.There is a double garage (just needs a garage door) and there is a workshop and another storage closet in the garage.The yard is in the process of being cleaned up and mowed and the bushes trimmed.All information deemed reliable but not guaranteed. Buyer and/or buyer's agent to confirm any and all information.